so back in college vic was known as "bro theme". we're alike in that way and these days we have quite the theme going on: lavender. but i think it was really having the lavender whipped cream the next weekend at our friends colin and christina's wedding when i realized it was only a matter of time before i began infusing my own lavender xyz. i decided to start with a lavender simple syrup. 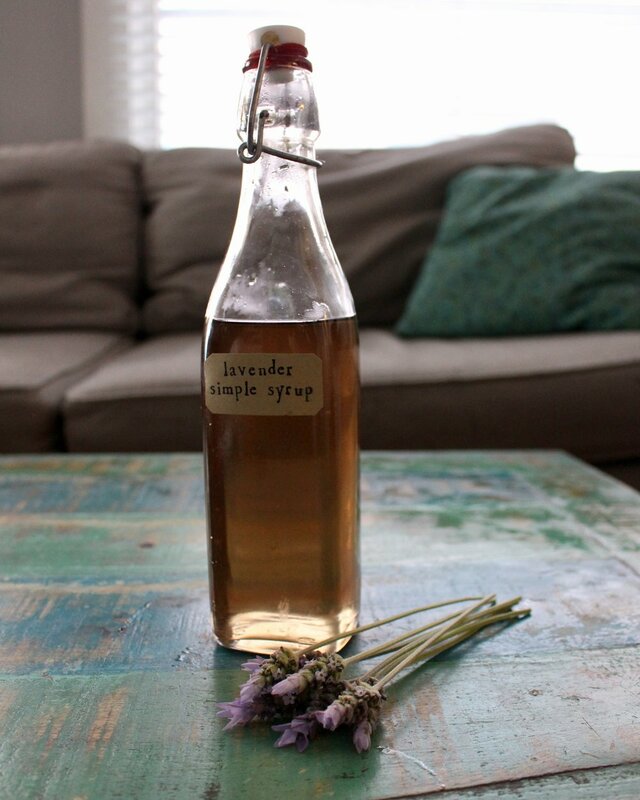 1. remove lavender flowers from the stem, rinse in cool water, pat dry with cloth, and allow to dry. 2. place in mixing bowl. 4. add in sugar and mix. 5. put water on to boil. 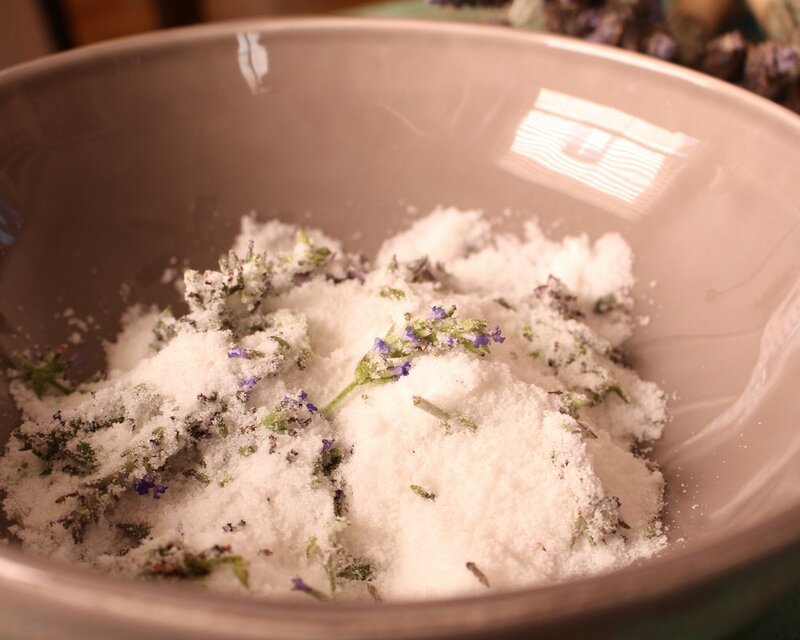 6. wait for water to boil, take more pictures of lavender sugar mixture. 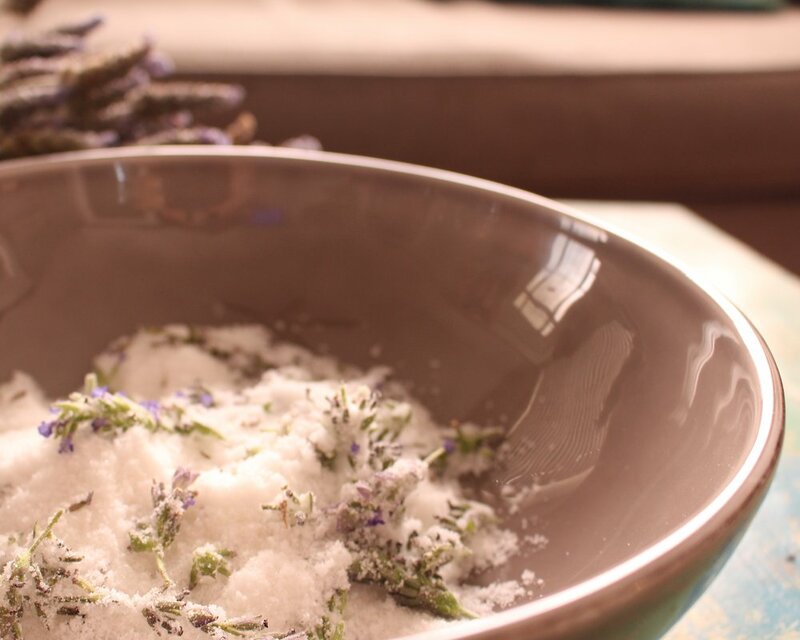 7. once water is boiling put in lavender and sugar mixture, mix until dissolved. 8. allow to simmer for 60 minutes, reducing to about two cups. 9. strain syrup, i used a french press. 10. package in a cute bottle and add a cute label. next up, experimenting with lavender in various food and beverages!